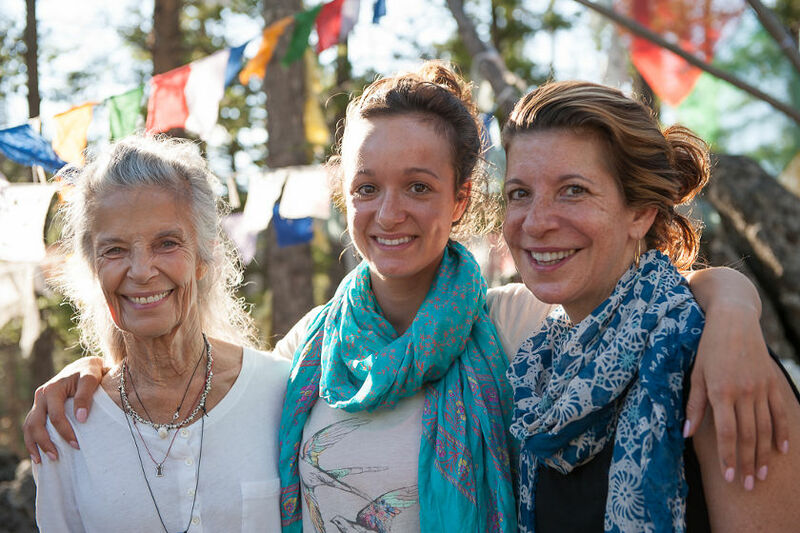 A large number of today’s leaders within the yoga, health and wellness communities have come through our doors at one time or another, with many getting their start right here at the Ranch through our scholarship fund. The objective of the fund is to assist those who have the intention and heart but may not have the financial ability, through educational scholarships to afford participation in one of our health, wellness and self-empowerment programs. We believe the best way to create the sustainable and cooperative communities we dream of starts with the individual. The scholarship fund goes right to the heart of our philosophy and mission. Donate to the Feathered Pipe Foundation and help tomorrow’s leaders benefit from the immeasurable value of a Feathered Pipe health, wellness and self-empowerment program. Interested in applying for a Feathered Pipe Scholarship? Apply here. As a recipient of several Feathered Pipe Ranch scholarships I have been able to support my educational needs and my personal healing and recharging. To be able to attend the ranch’s wonderful offerings has been a blessing to me and all my students at The Lotus in Helena. The Feathered Pipe brings in some of the best Yoga and Spiritual teachers. 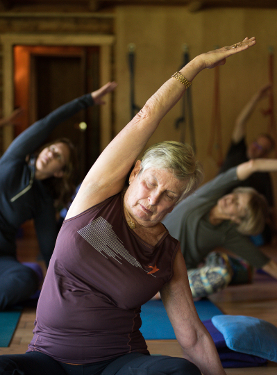 Helena even benefits from the Ranch’s teachers during the summer months as several of the season’s Yoga teachers offer a fundraising Yoga class at the The Lotus, all monies go to the Scholarship program so we can all benefit. I even studied my Profession there as a body worker. The Ranch hosted Tom Meyers of KMI, a structural body work program, right here in Helena Montana! 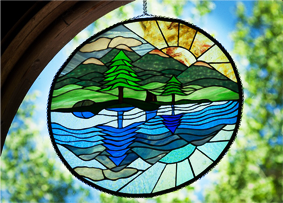 This community of healing is a powerful base not only to Helena but to many from all over the world. If one can imagine a place where they step out of time and let each day bring what it will and go to bed at night feeling the ease of “yes this is what I needed” and knowing that the week at the Ranch has changed their lives forever in a positive way. Being at the Feathered Pipe Ranch over the past ten years has been such a healing place for me because of my diagnoses of endometrial cancer. My finances were such that I couldn’t afford coming to the ranch and I am so grateful for the Feathered Pipe Foundation’s scholarship program. My time at the Ranch was an integral part of being cancer-free for ten years. Again, I thank the the Foundation for the gift given so I could be at the Ranch. In August of 2012, I was honored to enjoy a yoga retreat with JJ Gormley and Chase Bossart aided by the generosity of a partial scholarship offered through the Feathered Pipe Foundation. I want to tell you what that retreat did for me. Prior to the retreat, I had reached a dark place full of depression and a lack of interest regarding my path. 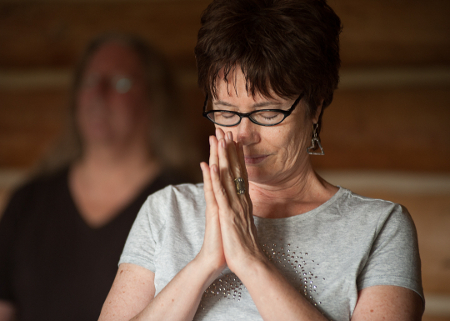 I teach yoga in small communities in north western Montana and simply put, it is a struggle to make ends meet. Attending the retreat was a reach for me financially, emotionally and physically. The blessings started when I was fortunate enough to host JJ at my small studio prior to the retreat and then drive with her to the retreat. Spending the time with her was the first gift of the retreat. While at the retreat, I was blessed with daily care, the comfort of like-minded souls, wholesome food that honored and nourished my dietary needs (without my attention! ), and a beautiful place to rest, recover and recreate. Instruction by JJ and Chase fed a thirsty mind and soul and provided inspiration. I returned from the retreat relaxed and renewed. Since the retreat, I’ve been inspired to return to teaching with anticipation of the miracle! I’ve completed my 700 hour certification through Surya Chandra Healing Yoga School with JJ and registered with the Yoga Alliance as a 500 hour instructor. 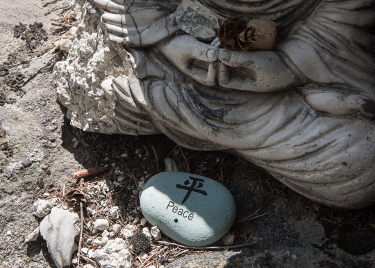 I’ve been working with a local college to bring yoga into their Substance Abuse Counselor Certification program and hope to spread the gift of yoga to the many substance abuse treatment facilities here in NW Montana. So much of the energy moving through this process was released through my time with JJ and Chase. I cannot thank you enough for the generosity of your scholarship. It made it possible for me to attend the workshop and what came from that continues to be a part of my life. We are a small organization and we give as much as we can, but our help is limited to partial scholarships of up to $500 per applicant. We’ll let you know the results of your application within two business days of receiving it. You will then have one month to submit your deposit of $500. Any scholarship money will be applied to the balance due. We ask scholarship recipients to provide limited help with program-related activities, such as setting up classrooms. *Please note: Scholarships are only available for Feathered Pipe Foundation hosted retreats at the Feathered Pipe Ranch, and not for our travel or rental programs.